This belt is 38mm (1½″) wide and made from high quality Italian leather. The buckle features a soft floral filigree pattern which is contrasted by the solid Italian leather strap. 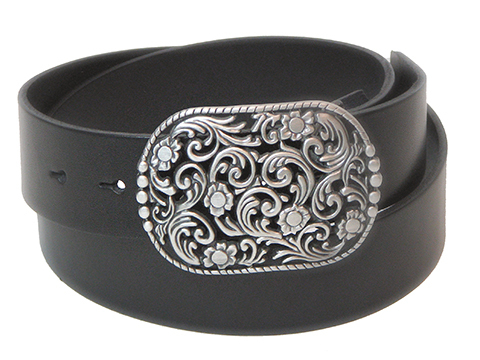 The buckle comes in two available finishes. A belt loop is optional for this belt.